A middle-income country, Ecuador is facing several shortfalls in reducing maternal and neonatal mortality, and preventing adolescent pregnancies. As a result, it is committed to closing these gaps in specific regions and among vulnerable groups. 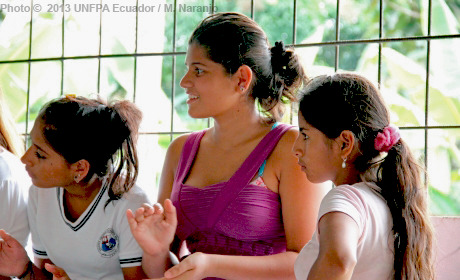 Active in Ecuador for more than 30 years, UNFPA advocates for universal access to reproductive health services, and helps mobilize resources and political will accordingly. Through partnerships with national ministries, local governments and civil society, it fosters effective coordination for the national strategy on family planning and preventing adolescent pregnancy.